Bulgaria - Trips to the Balkans. 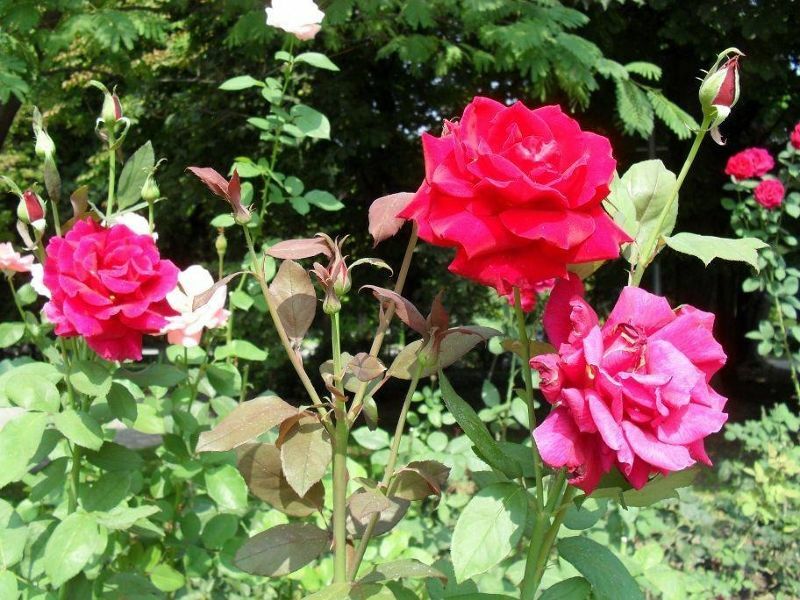 In the Land of Roses. We visited Sofia for a few days in July 2010. Sofia is the capital of Bulgaria and its largest city. 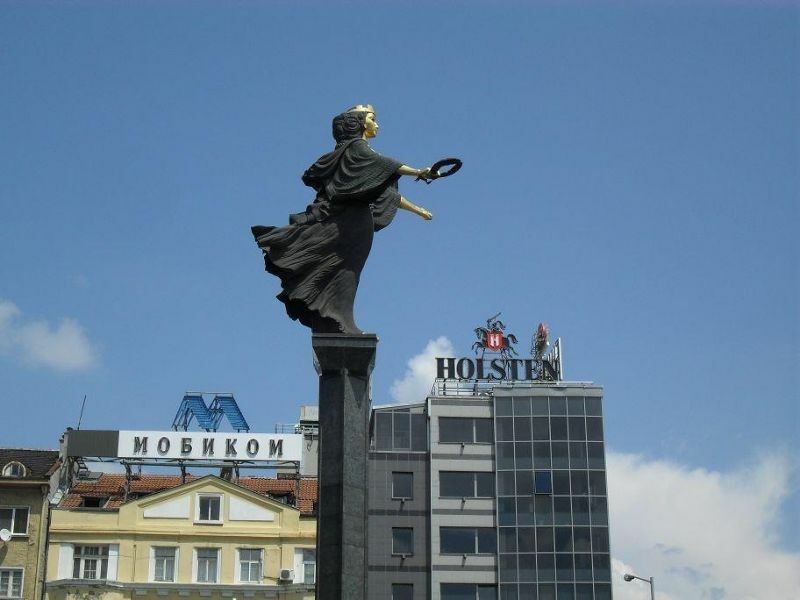 Sofia has a history dating back thousands of years and has been occupied by Philip of Macedonia and his son Alexander the Great. It spent several centuries under the control of the Ottomans and was later under the control of the Russians. Things to see in Sofia. 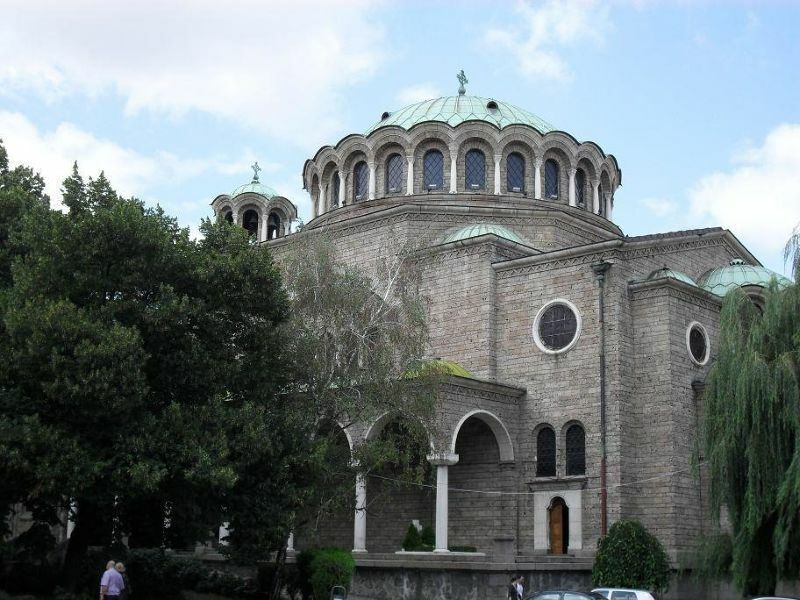 Most of Sofia's historical sights are close together. It can be explored on foot in about a day, or two days if you take a more leisurely approach. Sights include churches, markets, mosques, bath houses, parks, monuments and museums. In addition to the sights, Sofia is a pretty laid back place and, in the height of the summer season at least, it is fun to sit back and relax in pavement cafe after pavement cafe, sipping your coffee or beer and watching the world pass by. We stayed in two hotels in Sofia. For the start of our stay we were in the Dedeman Hotel then after returing from Plovdiv we were in the Kempinski Hotel. Dedeman Hotel: A Good Stay. The Dedeman Hotel is located very close to Sofia's Central train station and bus station, so it's very handy if you want to move around Bulgaria. It's an easy 15 minute walk into the centre. You can either walk down Maria Luisa Boulevard and cross Lion Bridge. You will end up at the Banya Bashi Mosque, Central Baths and Central Market (good for eating and drinking) or you can walk to the centre via the Ladies Market which sells food and clothes and is worth a quick look. It is a Turkish run hotel and the staff are fairly friendly by comparison with other Bulgarian hotels.We were put on floor 14 which was one of the executive floor. We were upgraded for booking on-line. Don't know if that is normal or we were just lucky. Our room was large, clean and comfortable. We got free small snacks and soft drinks for a couple of hours in the evening due to being on the executive floor. Breakfast was also on the 16th floor and was reasonably good. Coffee or tea, some hot food scrambled egg, boiled egg, sausage, bread, toaster available, cheeses, meat, olives, some salad vegetables, juices. Not fantastic but fine. Good view from this room. The hotel had a large indoor swimming pool free of charge and spa facilities at a fee. The pool was very good due to its size. There were outdoor loungers available for sunbathing. Staff at the pool were very reluctant to give us towels and told us to use our room towels which was strange. Swimming caps must be worn in the pool. One thing that annoyed me was that there was no safe in our room and when we asked to leave valuables in a safety deposit box at reception they told us they were all full. Tea/coffee making facilities in room. An evening turn down service brought us Turkish delight and the next day's weather forecast each evening. 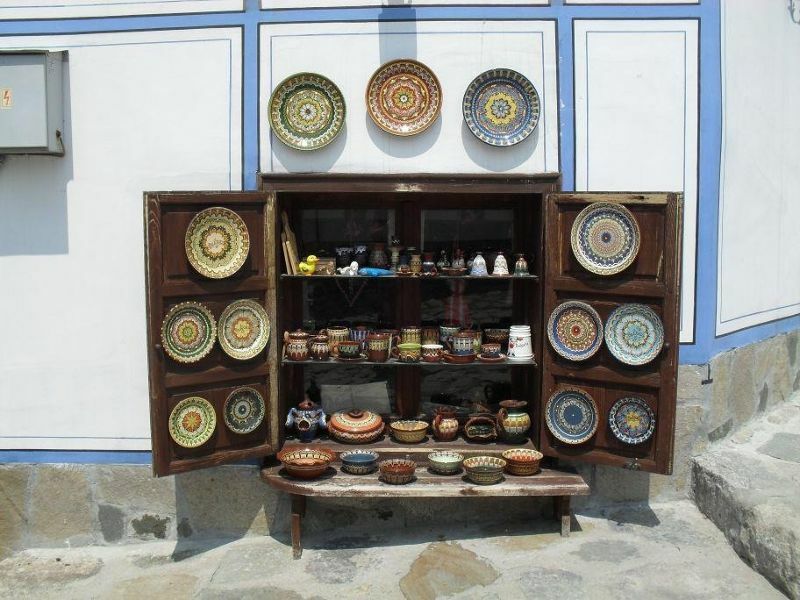 Restaurants including a good traditional Bulgarian restaurant with folk music nearby. We stayed in the Kempinski for our last night in Sofia. My husband had found a very good deal on the internet and we got the room for a fraction of its normal price. I'm guessing this might be because the hotel attracts a lot of business people and maybe summer is not their busiest time. The reception staff were pleasant and welcoming. The room was lovely and there was a small complementary bottle of wine and some snacks in our room when we checked in. Safety deposit boxes were available at the reception. Breakfast at the Kempinski was excellent with a large selection of hot food, lots of cold fish - smoked salmon, herring. There was a salad bar, a selection of cereals, bread. You could even have sparkling wine with your meal. The hotel also has an elegant Japanese garden. Down sides of the hotel were it was quite far from the main tourist sights. It was around a 20 minute walk to get to Bulgaria Square. Also during our visit the swimming pool and spa were shut for renovation. I think the notices said the renovation would continue until December. The biggest down side was the price of items in the minibar. Water was about 18x the price of water in the shops. I think only the very rich or those on expenses would buy anything from it. There was a supermarket around 5 minutes walk away so no need to use it anyway. If I could get a good deal here again, I would certainly stay here again. Also there is a spectacular view from the upper floors. You can see the domes of the Alexander Nevsky Church glinting in the sunshine. You could get a wire from reception for free internet access. 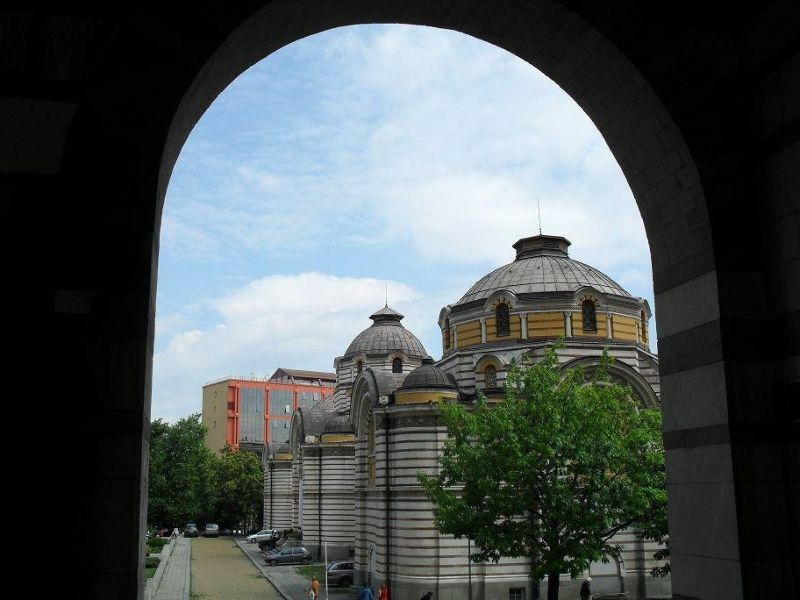 Things to Do in Sofia. 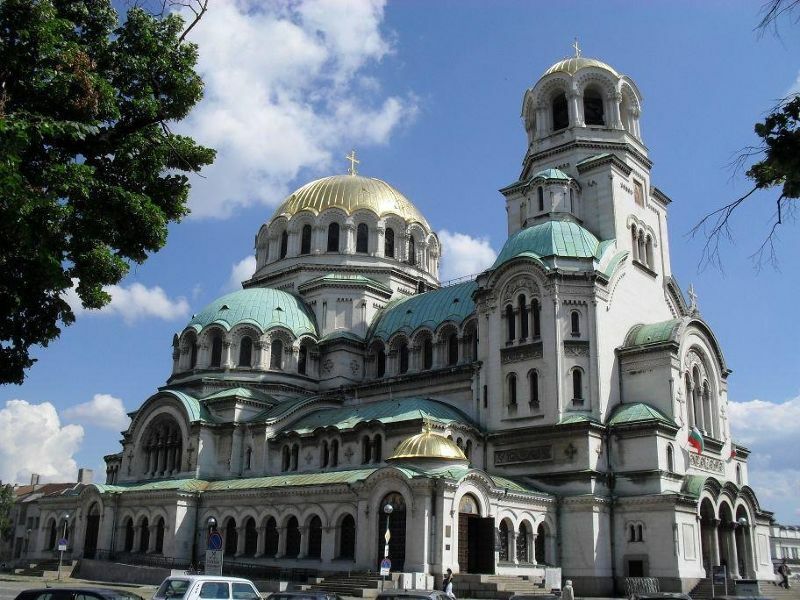 The Church of Saint Sofia is close to the Alexander Nevsky Church. 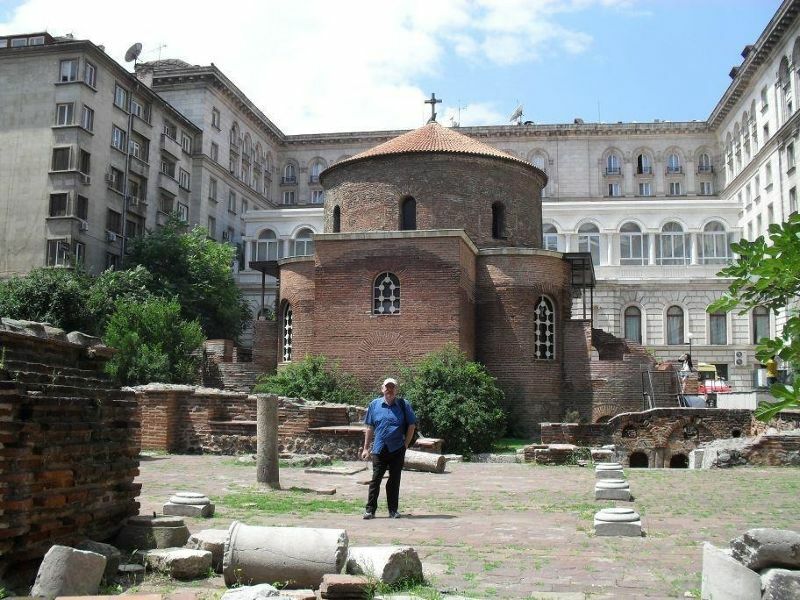 Dating back to the 5th century, it was this church that gave Sofia its name. There is a war memorial with an eternal flame just outside. Located on Poshtad Alexander Nevski and open daily from 7am to 6pm. 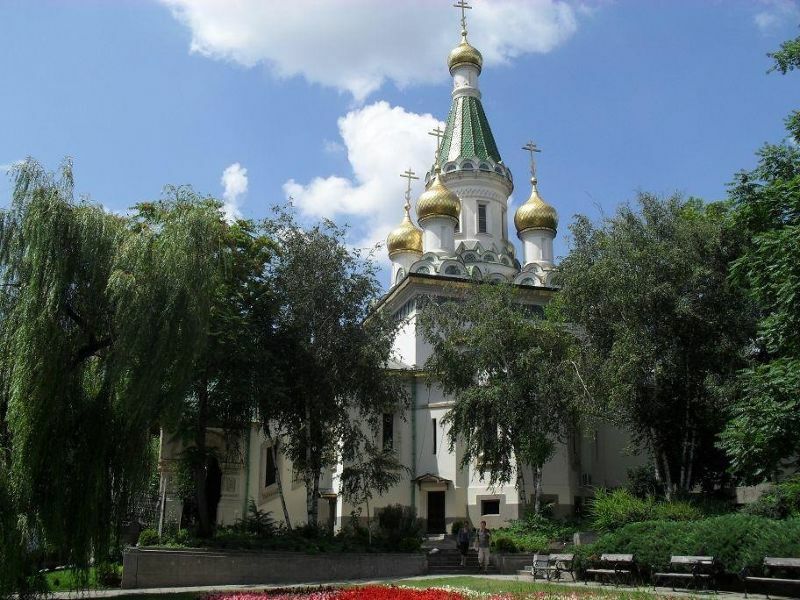 The Russian Church of St Nickolas is a beautiful church with a green steeple and five golden domes. It was built by Russians in 1912. 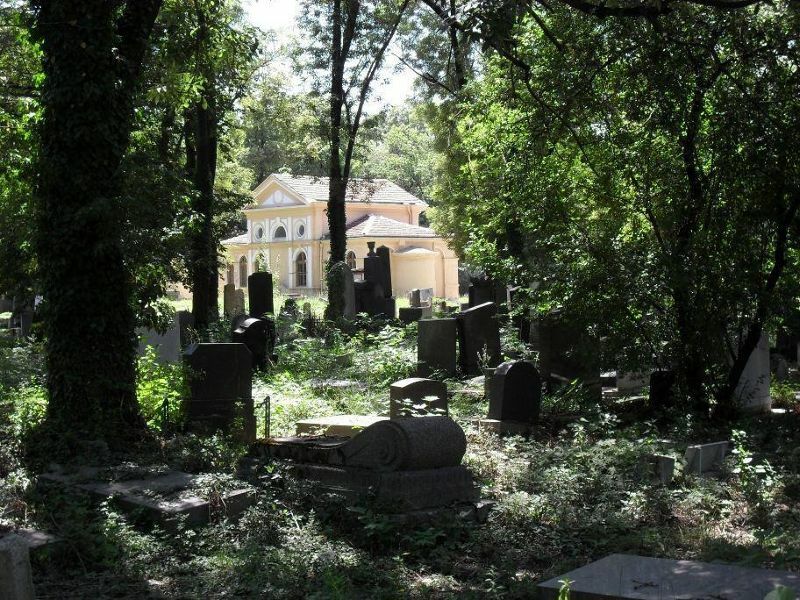 After visiting the main church take the side path to the crypt of Archbishop Serafim, who died in 1950. People post prayers to him in the box next to his crypt. Located on Bulvard Tsar Osvoboditel 3, open daily from 7.30am to 6pm. The Church of Saint Peter of the Saddlemakers is a small church with some interesting frescoes. Inside, it is abit like being in a cave. There is a 2 lev admission fee for this church. Located on Place Nezavisimost. Sveta Nedalya Church was originally a medieval church, but was rebuilt after being blown up in 1925 in a left wing terrorist attack aimed at killing the Bulgarian royal family who were attending a funeral at the church. The royals survived the attack but around 100 other mourners were killed.The square in which this church is located once housed a giant Lenin statue but this has now been replaced with a statue of the goddess Sofia holding an owl in her hand to symbolise wisdom. Located on Ploshtad Sveta Nedelya and open daily from 7am to 6pm. The Church of Saint Peter of the Saddlemakers. Russian Church of St Nickolas. Archaeological Museum - I enjoyed visiting this museum because I enjoy looking at Greek and Roman remains. My husband on the other hand found it boring. It is an old style look only museum, not the more modern hands on activity style one.The ground floor mainly consists of Greek and Roman statues. The only one to get my husband's interest was the statue of a woman with a mismatched head. The most impressive exhibit in the museum is definitely the very detailed solid gold Thracian burial mask uncovered in 2004 and dating back to the 4th century. In the same upstairs room I rather liked the foot shaped Roman oil lamp, too. There are a series of orthodox church paintings around the first floor gallery with warning signs that if you stepped too close an alarm would sound. That was certainly accurate as the extremely high piercing alarm went off several times during our visit. The museum is housed in a restored 15th century mosque, just opposite the presidency. Location Ul Saborna 2, open 10am to 17.30pm. My husband outside the museum. The changing of the guard is worth watching. It takes place outside the presidency building just across from the archaeology museum on the hour and lasts for a few minutes. 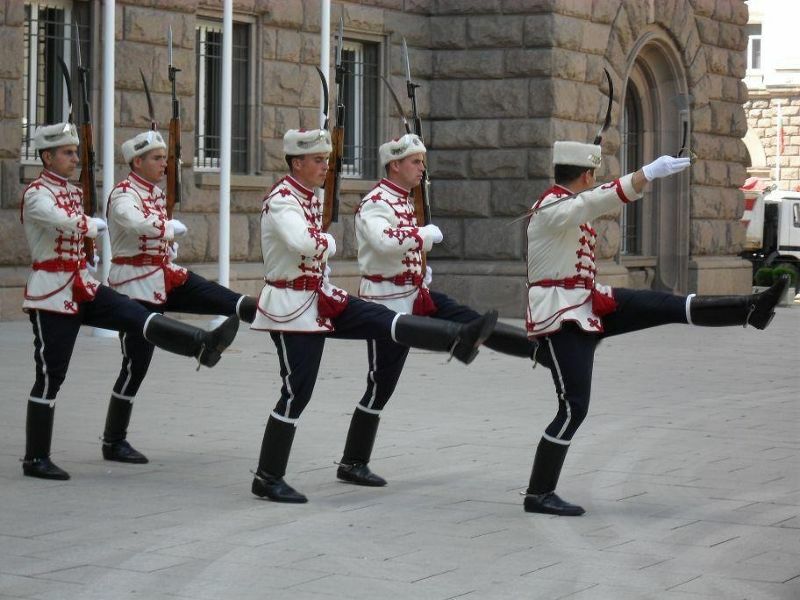 There is lots of high kicking and marching involved in the ceremony. Monument of the Red Army. Soviet Statues - maybe I'm a bit of a Commie at heart but I love all the Soviet style monuments. In Sofia the Red Army Monument in the Soviet Army Park was interesting. It was built in by the Russians in 1954. On a 34 metre high pillar stands a Red Army soldier leading a happy and thankful Bulgarian couple to freedom. 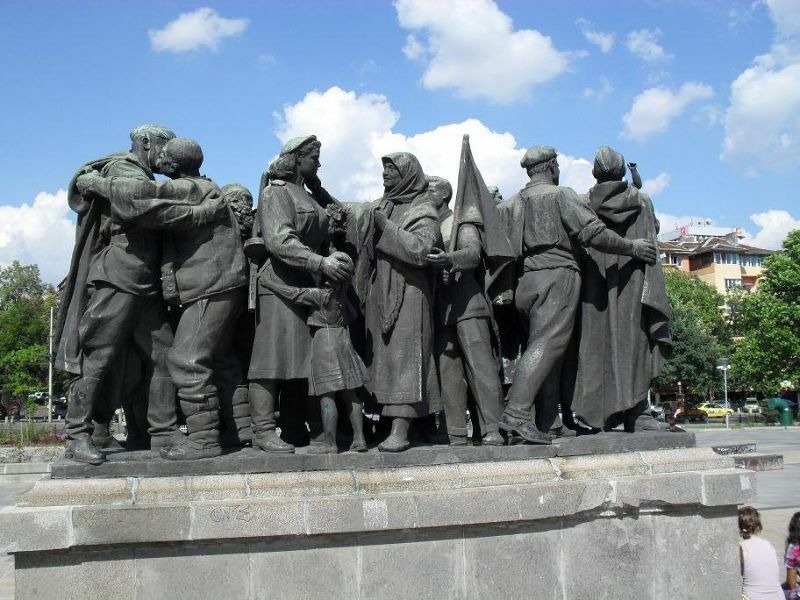 Bronze bas-reliefs around the bottom of the monument depict a cheerful and grateful population welcoming the Russian troops to their land, as well as fighting scenes from the October Revolution and World War Two . Actually, from things I've read, Russia is supposed to have had a fairly amiable relationship with the Bulgarians as they helped free them from the Ottomans. Location Orlov Most. There are also some Soviet era statues celebrating sporting prowess and youth in front of the Vasil Levski Stadium and, although we did not actually go to it, a Soviet Mound of Brotherhood monument inside Boris Gardens. Part of the Red Army Monument. Tsentrali Hali - we really liked this indoor market hall. It had some useful shops for snacks, alcohol, souvenirs. There was a pleasant bar downstairs and upstairs there was a very cheap food court selling pizza, sausage, kebab and very cheap draft beer (the bar downstairs was reasonable, upstairs was half the price). 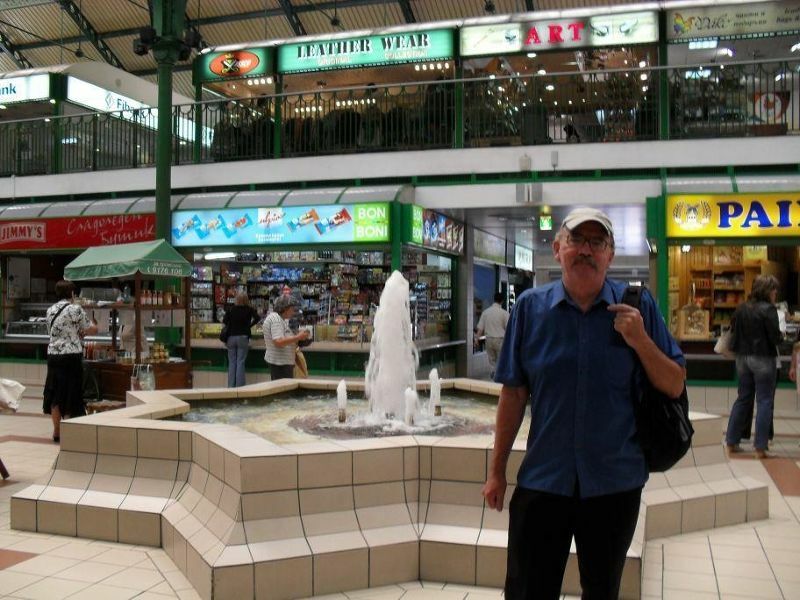 The market has a glass roof, a bubbling fountain, an interesting clock and some archaeological remains in the basement. Clean and free toilets in the basement and first floor. 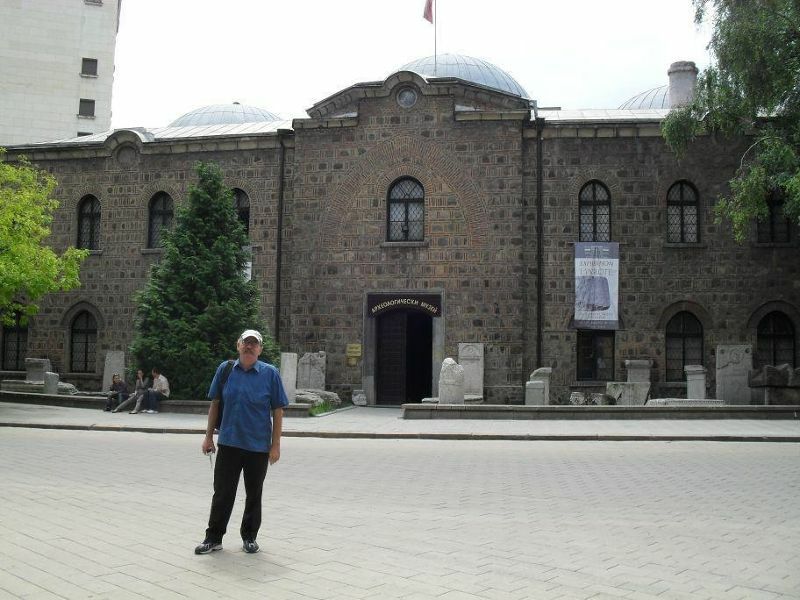 Just across the road from the Tsentrali Hali was the Banya Bashi Mosque and the Central Baths. Behind the Tsentrali Hali was the synagogue. The Banya Bashi Mosque and the Central Baths. 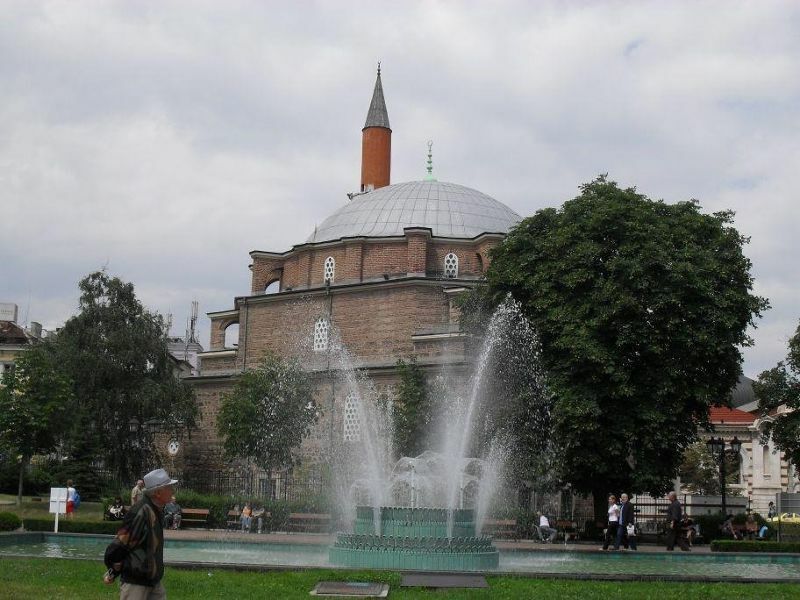 The Banya Bashi Mosque is the last mosque still in use in Sofia and was designed by the famous Ottoman architect Mimar Sinan around 1576. Location Bul Maria Luiza. 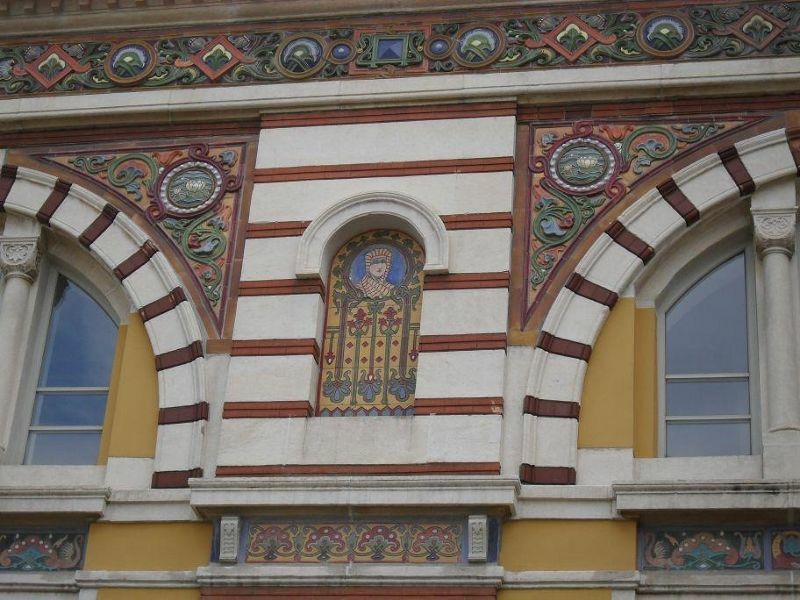 The Central Baths are housed in a beautiful old building which was built in 1911. It has some lovely tile mosaics. By accident we got on a number 6 tram thinking we were heading towards Bulgaria Square but in fact we were heading in the wrong direction. We got off near the end of the line next to a large cemetery. Many of the graves, though quite interesting, were fairly overgrown. Some had hammer and sickle insignia on them. Then we found a large Jewish section. Our most interesting find though was the war cemetery. Various nationalities of war dead are laid to rest here. We explored the British and German sections. 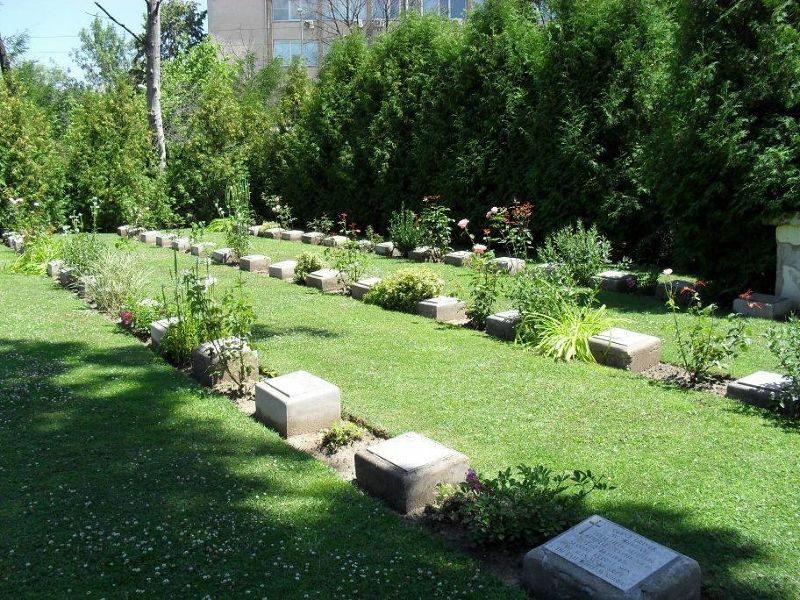 Most of the British war dead were prisoners of war in Bulgaria during World War 1. Several graves were of soldiers from the Macedonian Muleteers Regiment which I had never heard of. The German cemetery next door had some war dead from World War 1, but many more were from World War 11. The war cemeteries were very well kept and interesting. Using the tram in Sofia is good fun. We just entered at the front and bought our ticket from the driver. Tickets cost 1 lev. After buying a ticket you must hole punch it in the little orange hole punchers sticking out of the tram walls. Ticket inspections are very frequent and you will be fined if you do not have a valid hole punched ticket. The ticket inspector will take the ticket off you and rip it in half to make sure you don't use it again. My husband got into a fight with a ticket inspector on our last tram trip. We got on at Sofia train station with luggage and bought tickets from the driver. I watched the luggage while Peter went straight to the hole punch machine. An inspector appeared out of nowhere and accused Peter of not hole punching his ticket. As we were in the process of punching the tickets when the inspector challenged us I guess the inspector thought we had been travelling for some time and were only punching them because he had appeared. There followed a lot of shouting that we had only just got on and were punching our tickets straight away. Several Bulgarian passengers intervened on our behalf and eventually the inspector backed off, but boy do they mean business. Don't travel without a hole punched ticket. 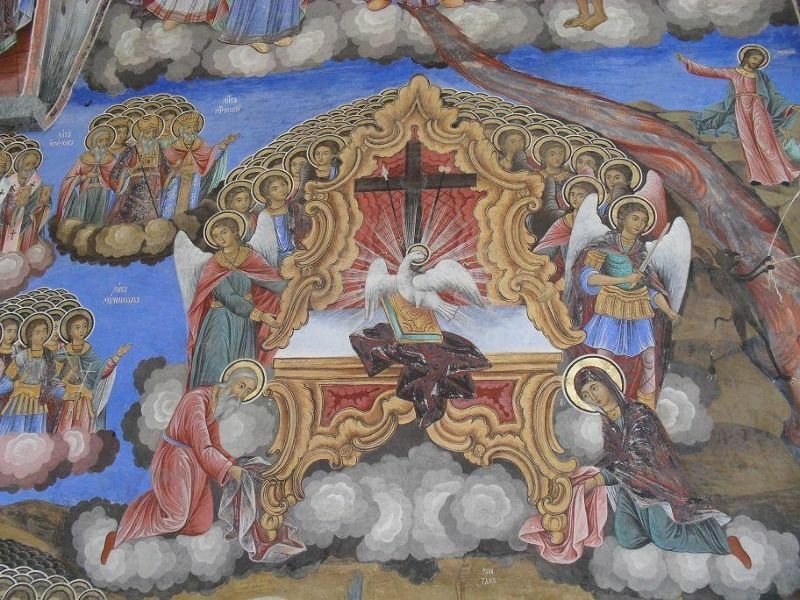 As well as looking at Sofia, we booked a day trip to the Rila Monastery. 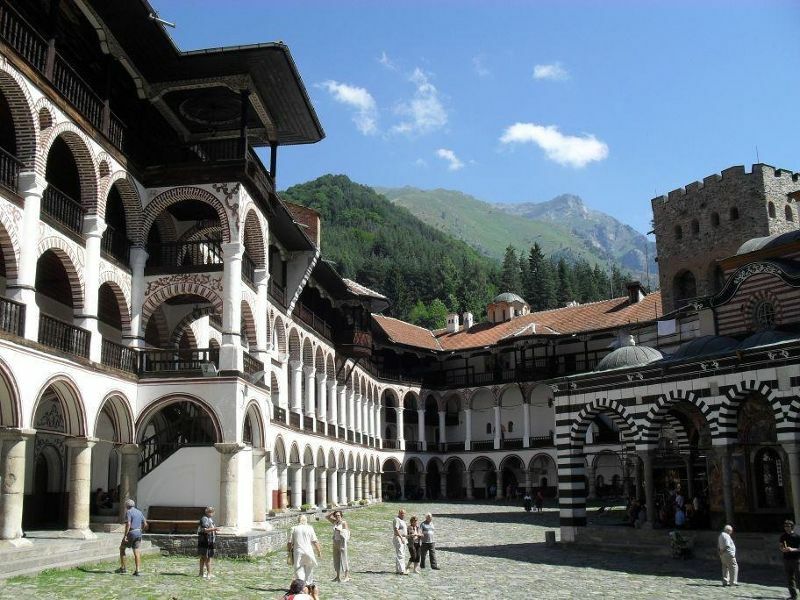 The Rila Monastery - we booked a car with driver to take us to Rila Monastery. We booked in the Eurolines office in the basement of Sofia Central Train Station. It cost 70 Euros. The car turned out to be an OK Supertrans taxi. It arrived on time. The journey to Rila took 2 hours. We spent 3 hours there and our taxi was waiting to take us back at the end of this time. I read you can do the trip by public transport which would of course be much cheaper, but it did not sound like there were many buses a day so we decided to book a day trip. The drive to the monastery was quite pretty especially when we passed fields filled with golden sunflowers and during the final stretch which went up the mountain. 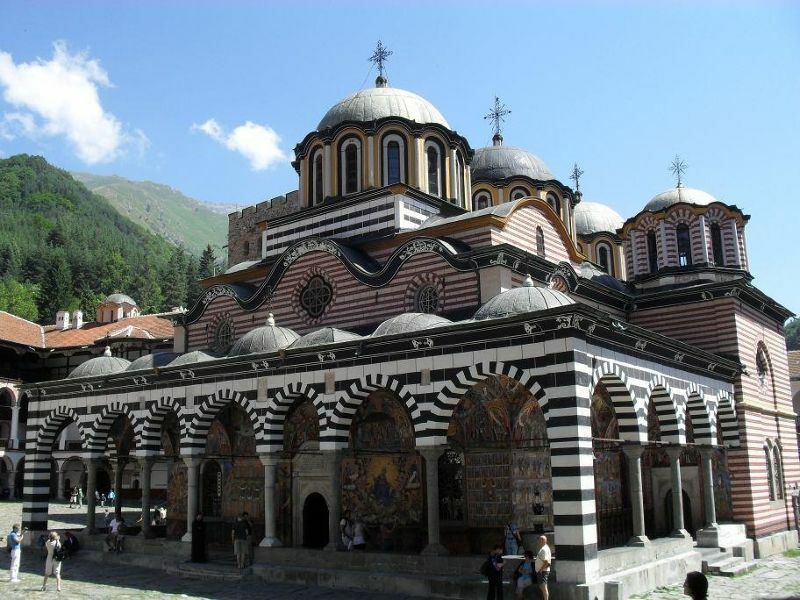 The Rila Monastery was founded in the 10th century by St John of Rila. He was a hermit canonized by the Orthodox Church. The Rila monastery is stunning. 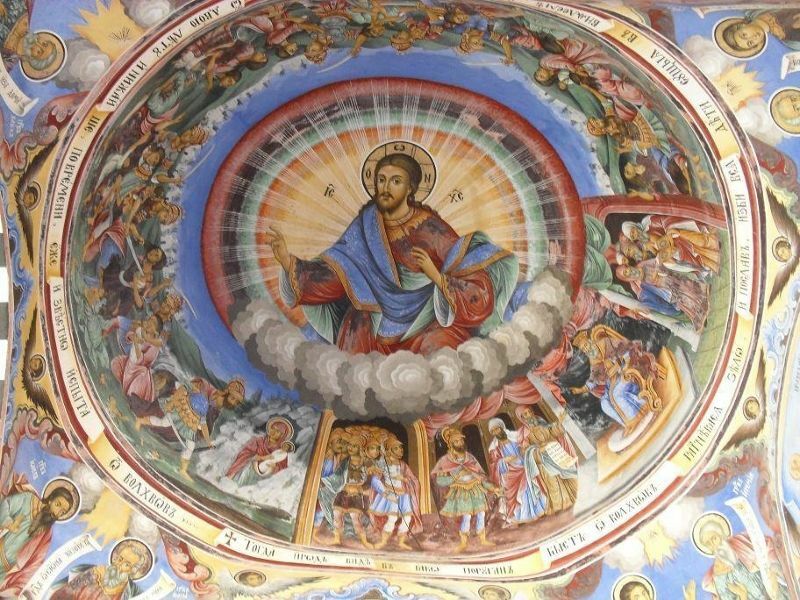 The main church is covered with wonderful, colourful frescoes both inside and out. You can photograph the outside but not inside. Entry to the main church is free. There are several parts of the monastery you can pay to go into. I paid 8 lev to visit the monastery museum. 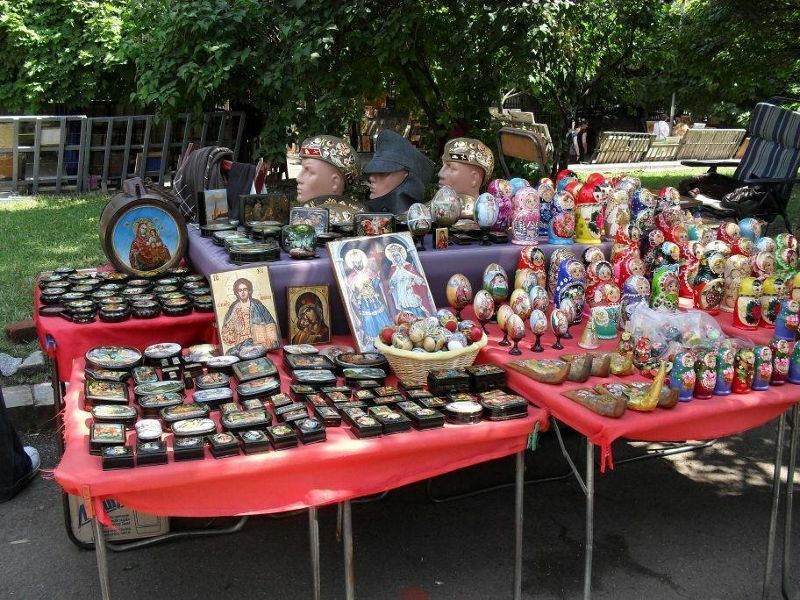 There were various censors, candlesticks and religious icons. The most famous exhibit is a wooden cross carved by Raphael, one of the monks, and depicting tiny religious scenes in intricate detail. Apparently he worked using a magnifying glass. Near the monastery there are a few restaurants and cafes, a small convenience store and some souvenir shops. We set off on a short forest walk which had nice mountain views, a stream and waterfall. 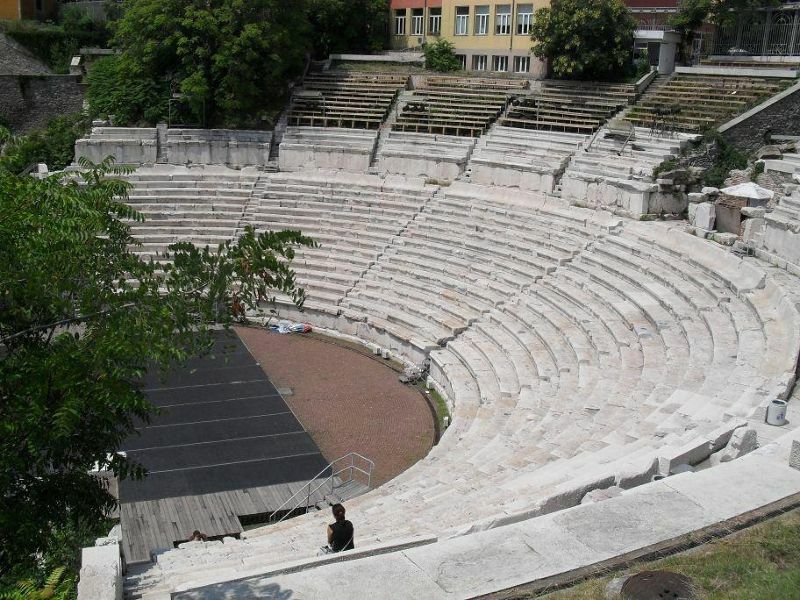 Plovdiv is the second largest Bulgarian city. It has several interesting Roman remains and a beautiful old town famous for its symmetrical houses. We got to Plovdiv by coach from Sofia. We bought our ticket for 13 lev at the Central Sofia bus station. There was a fairly frequent service. We came back by train for around 8lev 10 cents. The train service is also fairly frequent though the trains are a bit slower. The bus took two hours, the fast train back took two and a half. Slower trains take three. 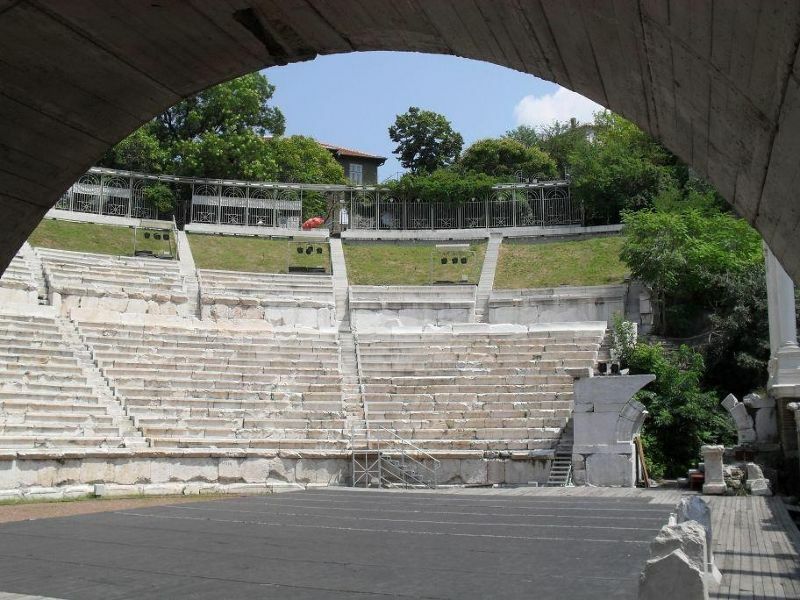 Roman Remains - the most famous and best preserved Roman remains is the Roman theatre. Entry 3 lev. There is a cafe at the top of the theatre (before you go into the site) which is a lovely spot for a drink and a view. There is also a Roman forum which is free to enter. 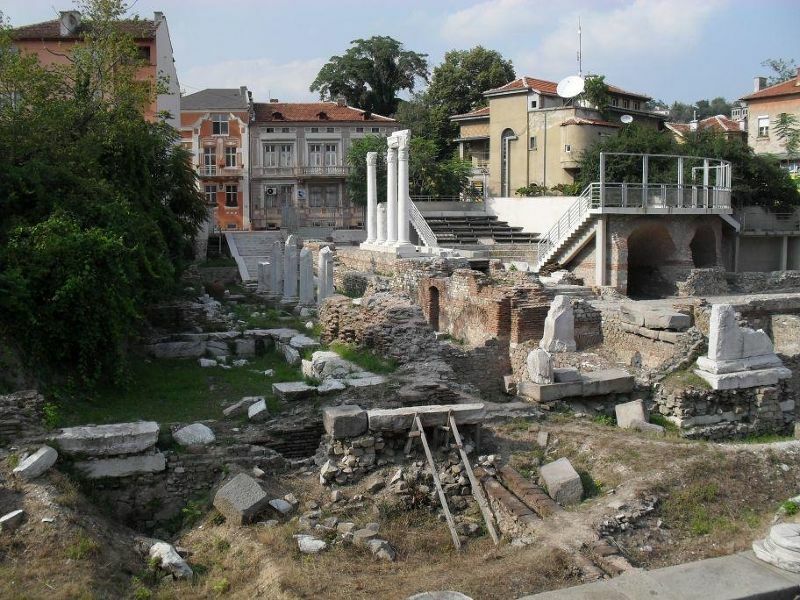 There is a Roman stadium near the mosque and Philip of Macedonia statue. 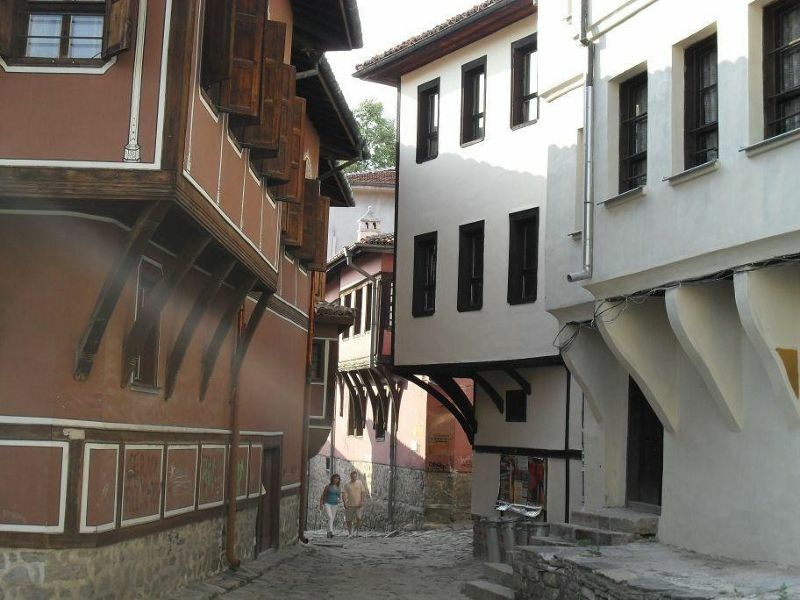 The old town of Plovdiv has several beautiful old houses, several peaceful and attractive churches and lots of very laid-back, relaxing cafes. A lot of the old houses are symmetrical in design. 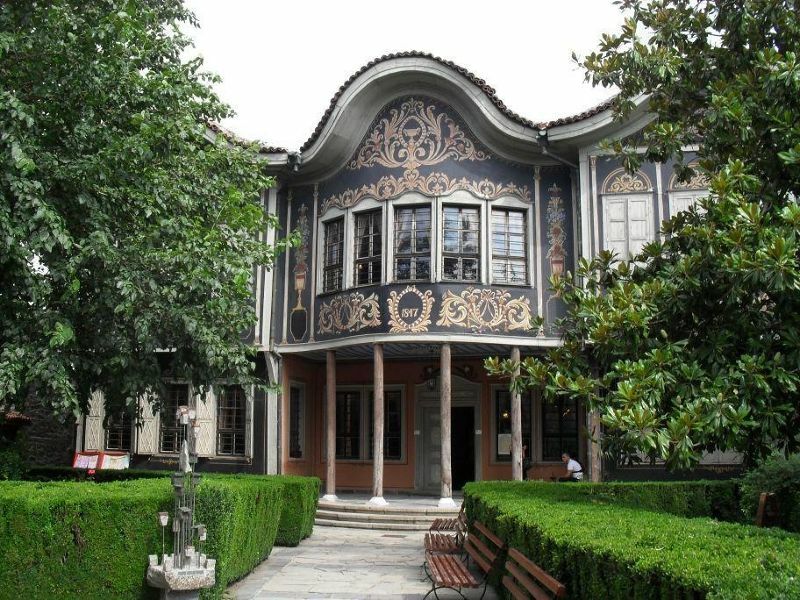 The ethnographic museum is housed in a beautiful old building and worth a look. Souvenir Shop in Old Town. 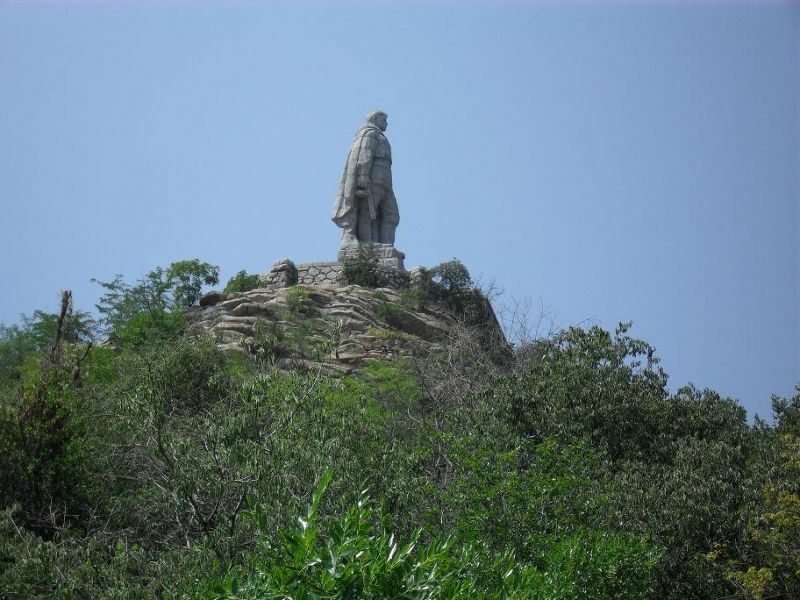 Monument of Alyosha: A beautiful spot with a view. 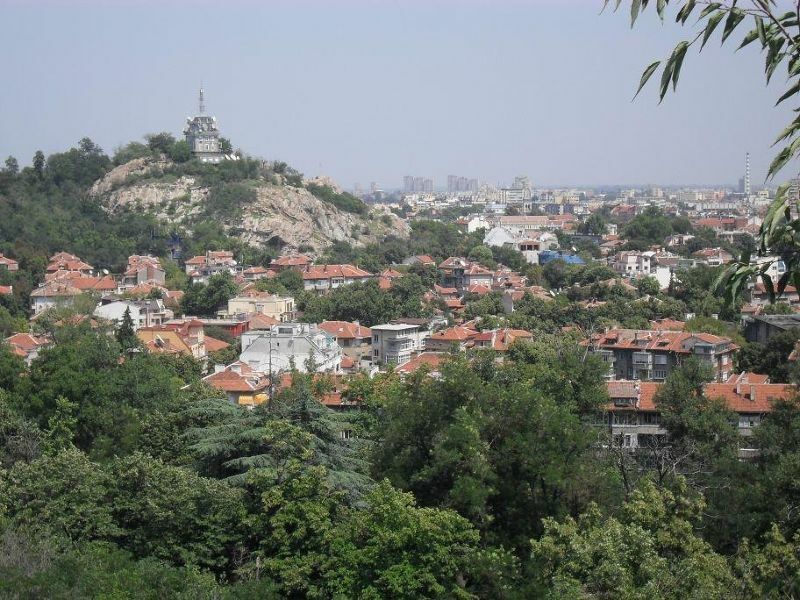 We climbed up to the Aloysha statue which overlooks the town of Plovdiv. It is a statue of a Red Army soldier standing guard over the town. 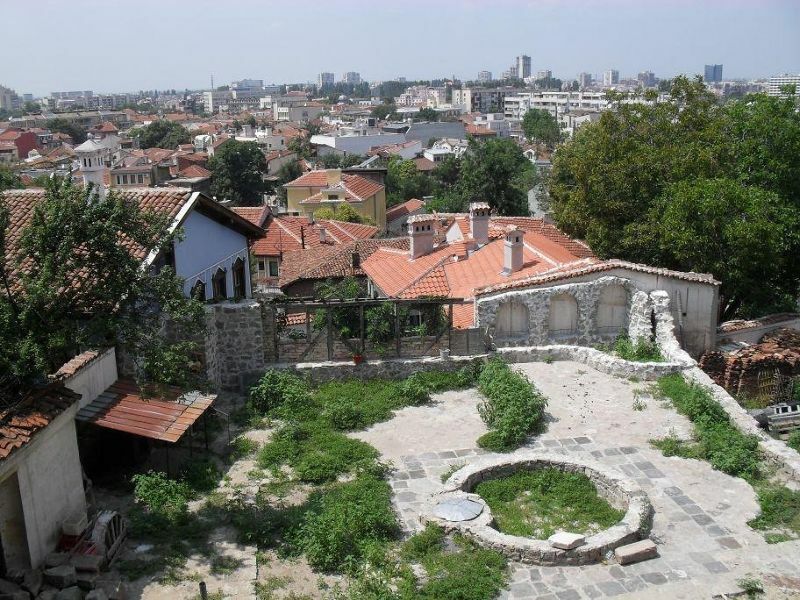 There are wonderful views over Plovdiv from this sight. Although it was very hot at the top, the walk uphill was mainly through trees and shaded. Well worth doing, if you have time. Directions: seen from everywhere. 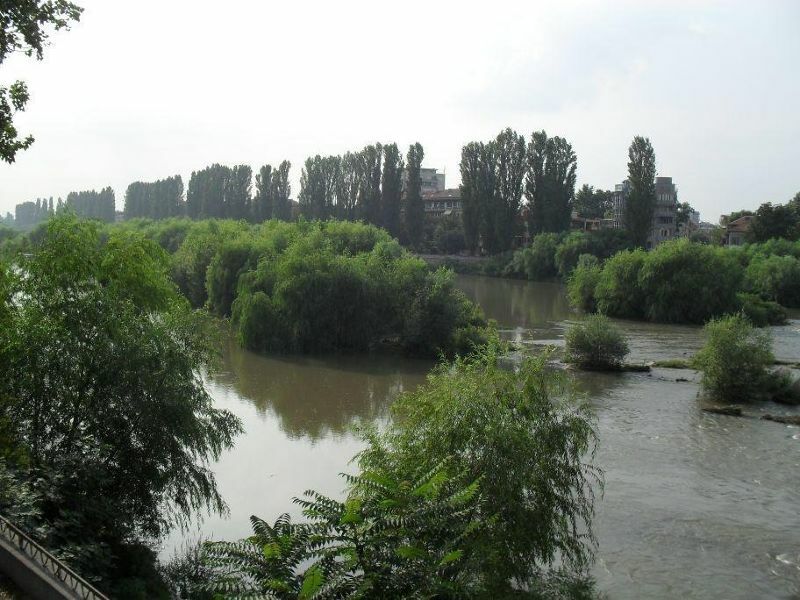 Plovdiv's beautiful river is worth a look, too. 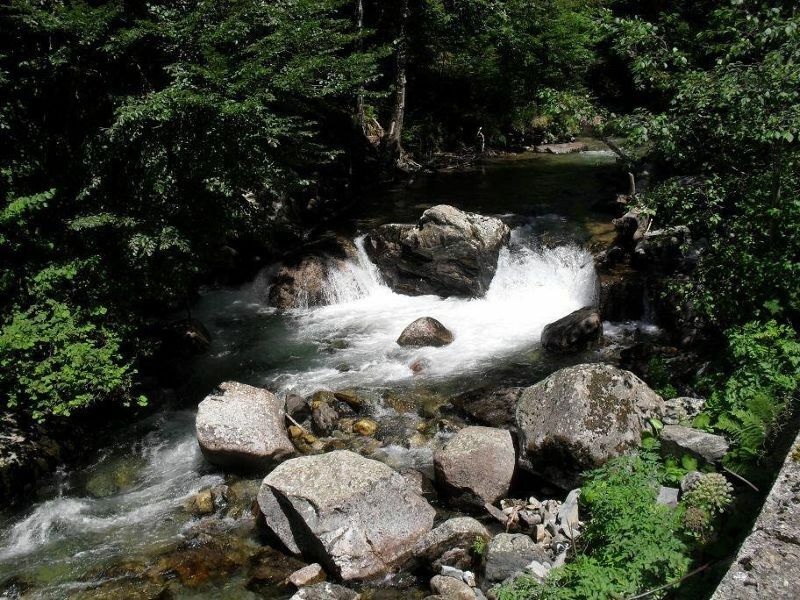 It is called the Maritsa River.